Just days after TRAI Chairman RS Sharma made a major security blunder by revealing his Aadhaar number on Twitter and challenging people to “harm him”, another major controversy has landed at the doors of the UIDAI. 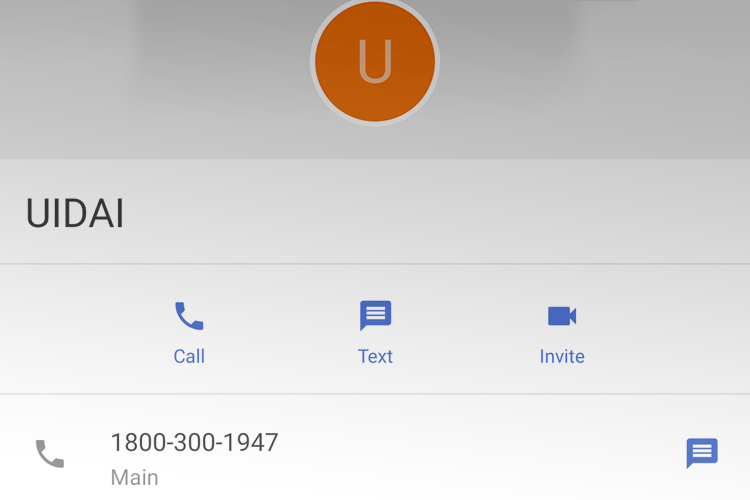 This time the issue seems to be that UIDAI’s helpline number is being saved by default in most Android device’s contact lists. French security researcher Baptiste Robert who goes by the pseudonym Elliot Alderson on Twitter polled his followers to find out if they had the UIDAI helpline number saved on their phone without their intervention. Many users replied to his tweet puzzled, as they realised the Unique Identification Authority of India (UIDAI) toll-free helpline number was already saved, even though they had not saved it themselves. UIDAI is yet to issue an official statement on this issue which has the helpline number 1947. Twitter was abuzz again with the new development after a huge uproar due to Telecom Regulatory Authority of India (TRAI) Chairman R.S. Sharma’s open Aadhaar challenge to critics and hackers. Sharma caused huge uproar on Twitter by sharing his 12-digit Aadhaar number on July 28. Ethical hackers have since then exposed at least 14 personal details of the TRAI Chairman, including mobile numbers, home address, date of birth (DoB), PAN number and voter ID, among others. 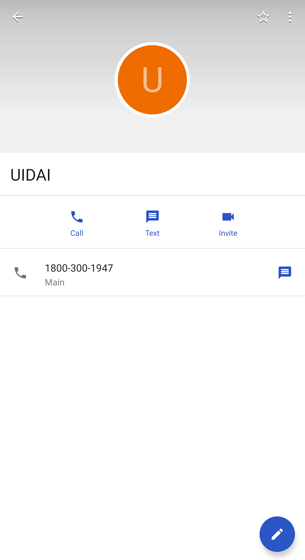 In addition, the former UIDAI chief has also had to face a lot of spam authentication OTP messages thanks to his security lapse. “A phone company is not the one making decisions as to what to load and what not to. Samsung devices, for instance, come with the UIDAI number out of the box and so do Airtel and Vodafone SIM cards in some cases,” he was quoted as saying by the publication.